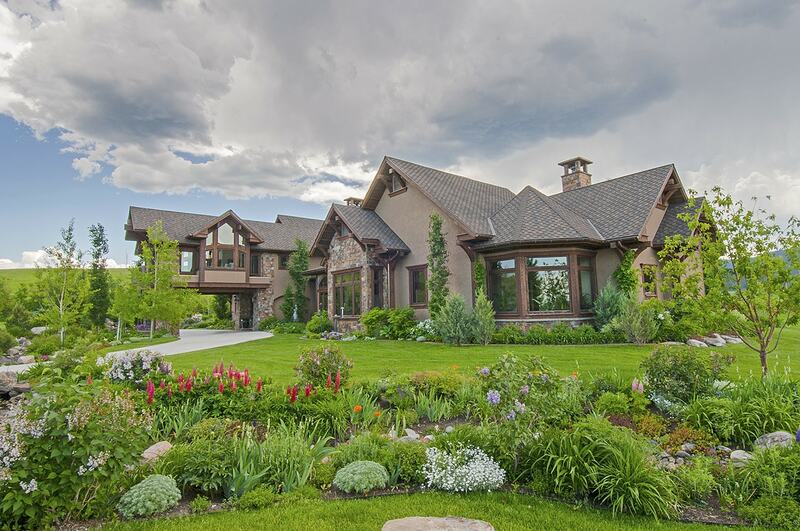 Home » Bozeman Montana Real Estate Blog » Featured » We’re Under Contract…Now What? Part Two. We’re Under Contract…Now What? Part Two. Many sellers uncork the champagne once they have a signed Buy-Sell contract on their property. However, as exciting as it is to have a buyer wanting to purchase your home for agreed upon price and terms, the real celebration should wait until the title company is depositing your proceeds and has recorded the title. Unfortunately, a lot can go wrong between signing a Buy-Sell and closing. A real estate transaction is never a “done deal” until it is recorded. It is quite a thrill and a relief when your agent informs you, “I have a contract!” The moment you sign the offer, you are shifting your focus from the marketing and selling phase of the transaction to the Due Diligence and Contingency phase. There are a number of steps that must be satisfied within the contract’s prescribed time frame. Your agent should help you navigate each question and procedure, beginning with discussing the Buy-Sell in depth with you, explaining any special provisions, and addressing what is involved in working through contingencies. Many of the procedures will be up to the buyer to satisfy, such as hiring professionals for home inspections and acquiring financing. “Uh oh,” is the most dreaded word in surgery. It is also dreaded in the time frame between signing a Buy-Sell and concluding the transaction when something goes wrong in your home. Maybe the home inspector finds a major issue, or your water heater ruptures and floods the mechanical room and damages the sheet rock. The first step is to quickly and accurately assess the problem. Call your real estate agent immediately and explain the situation. A good agent will help you maneuver through the next steps of figuring out the extent of the problem, how best to fix it, who is most qualified to do the work, and the timing and costs involved. As your advocate and representative, your agent will then contact the buyer’s agent and calmly explain the problem, the solution, and fully disclose the situation so that both parties are aware and comfortable. Depending on the problem, you may be asked to give a credit at closing to cover repairs if the work can not be done prior to closing. The buyer may wish to remedy a situation themselves and prefer a credit to you overseeing a job. This is all part of on-going negotiations and one of the many reasons it benefits both sellers and buyers to hire experienced, qualified Realtors for representation. Most interim problems can be successfully resolved if both parties communicate and co-operate. The selling price of your home is part of the contingencies in that it triggers financing and appraisal contingencies unless it is a cash deal. During the marketing and selling phase, you and your agent set an asking price that should reflect the current market values, your actual property and its amenities, and also what the home should appraise for. Appraisals are handled by third parties and are highly regulated, with definite procedures and rules. Appraisers use “comparables” of homes that have recently closed within a short radius of your property. If your market area has experienced short sales and foreclosures, your property values have been affected. When a home is under contract and the appraisal comes in lower than the contract price, there is a serious problem. Home financing is based on appraisal, so unless the buyer is putting a significant down payment, the bank will not grant a loan without the home appraising. If you, as a seller, find yourself in this position, you have a tough choice. You can agree to lower your price to the appraisal amount. You can also request a second appraisal, which you agree to pay for. This may require the buyer switching banks for their mortgage. The same home can end up with significantly different appraisals depending on who does the appraisal as it is not a mathematical equation with certainty but rather a formula with many areas for an appraiser’s personal interpretation. Once again, you need a qualified, experience Realtor to help navigate this situation. As a Seller, there are a number of ways for you to reassure the buyer that you are being honest, co-operative, and appreciative of their wanting to purchase your home. Small, helpful things are appreciated. Supply the buyer with not only Covenants for your neighborhood, but also the name and contact information for the Home Owner Association president. Gather together all warranties and manuals for appliances. Make a list of all the people who have worked on the home, from lawn maintenance to the person who services the air conditioning. Be generous about allowing the buyer access to your home during the Due Diligence. When the inspection report is issued, take the time to read through it and address items within the report that you are aware of. Many times the inspector sees something, notes it in the report, but does not know crucial details that resolve that issue. For instance, the report may say the ground slopes toward the home, which is true, but what the inspector does not know is that you have an extensive French drain system underground. Your feedback concerning issues raised in an inspection report is oftentimes critical in assuaging a buyer’s fears or concerns. Naturally, these conversations should take place with your agent talking to their agent unless both parties have agreed to speak directly. Along with the list of workmen and appliance warranties, it is more than helpful for you to offer to spend a few hours with the buyers and show them how to operate the lighting and sound systems, where to turn off the main water valve, how to set the thermostats. One of the most important things you can do as the Seller is to leave your home pristinely clean. This includes patching all the walls and repainting where art has hung, scouring and cleaning all appliances including ovens, refrigerators and the insides of washing machines. Have your garage spotless and all trash hauled off. Wash the windows, clean the carpets, leave the home smelling fresh. It’s a nice touch to set a bottle of wine and a “Welcome to your new home,” note on the kitchen counter, or even a flowering plant. Small added touches go far in establishing good will. All of these steps speak directly to your integrity and ethics, and go a long way in insuring that when your house transaction is completed, and the money is in the bank, all parties are pleased with the positive outcome. Comments Off on We’re Under Contract…Now What? Part Two.